By late fall, native grasses are the most visible component of roadside plantings. Big bluestem is among the species shown in this western Iowa planting. 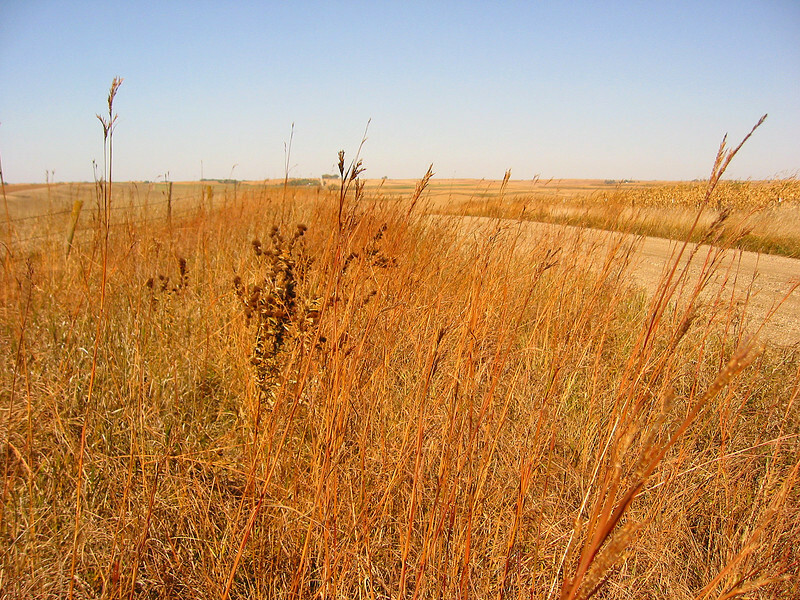 Iowa's Integrated Roadside Vegetation Management (IRVM) Program Office has been awarded FHWA funding to purchase native prairie seed for use in county rights-of-way since 1998. Approximately 1000 roadside acres have been planted each year. These plantings are well-adapted for use on roadsides, providing weed and erosion control, storm water management, and habitat corridors. The IRVM Program Office is located at the University of Northern Iowa’s Tallgrass Prairie Center.